What are the symptoms and possible remedies to allergy to mosquitoes? And as you can cure with homeopathy? Mosquito bites can cause significant allergic reactions with rashes extended, annoying and lasting. Allergy to insect venom, in fact, is an abnormal reaction to their bites caused by allergic sensitization to certain components injected at the time of the bite. Regarding the mosquitoes, the element is an offending antigen contained in their saliva. We talk, then, of allergy to substances injected by insects when the local reaction is excessive: too extensive, serious and lasting. The bulge reaches a peak within 48 hours and can last up to 7-10 days. In some cases you may also experience fever and general malaise. According to a study published in the Journal of Dermatology, this type of allergy is quite common among children, so that in 75-80% of children of about six years with an abnormal reaction to the sting allergy test was positive (present in immunoglobulin E circle). Most people are not allergic to mosquito bites and develops a skin reaction characterized solely by swelling and itching. In case of allergic phenomenon known as "Skeeter Syndrome", however, the rashes bubbled, significant swelling and bruising. In addition, the swelling would not be limited only to the area of the sting, but will affect much of the limb (arm or leg). This type of symptoms usually last for hours and, in severe cases, even days. Especially rare forms involve swelling and bursting bubbles throughout the body. The most severe allergic response is anaphylaxis. It affects various organs and cause low blood pressure, hives, swelling and difficulty breathing. Remedies and homeopathy The most effective treatment recommended in case of allergies is based on antihistamines. 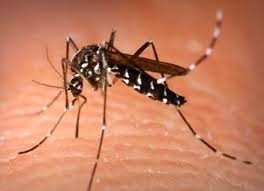 To prevent mosquito bites, however, it is useful to avoid staying in rooms and places too wet, use a repellent specifically applied to the skin, prefer neutral detergents, creams not too fragrant and light clothing in natural fabrics and breathable. If you prefer to use natural remedies and homeopathy, Apis mellifica is indicated for all bites that give a bulge rosy and warm, with local sensation of needles or pins. Ledum palustre is used if the swelling is white with a red edge, and it looks cool. Urtica urens is used in the presence of bites similar to those cured of the Apis mellifica, but if the cold water the worst pain and burning. Arsenicum album is indicated if there is a puncture after intense state of prostration and the person is very scared. Tarentula cubensis, finally, to be preferred if the lesion becomes complexion and dark purple.